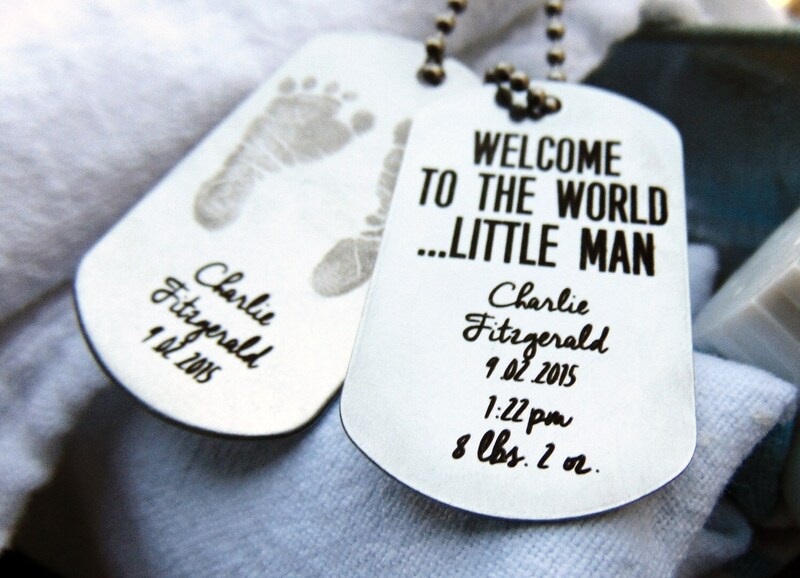 Celebrate life, with this custom made dog tag, engraved with baby's actual footprints. The perfect arrival gift for new parents, a way to treasure new life and keep a memorable day with you forever. With up to 3 lines of text on the front, customize your info with baby's name, and date of birth. 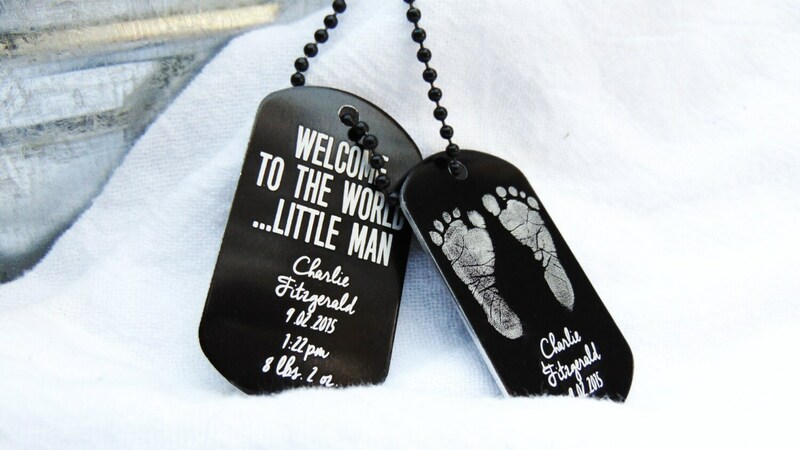 Go a step further by placing baby's birth info on the back so you will always have a keepsake to remember this special day. 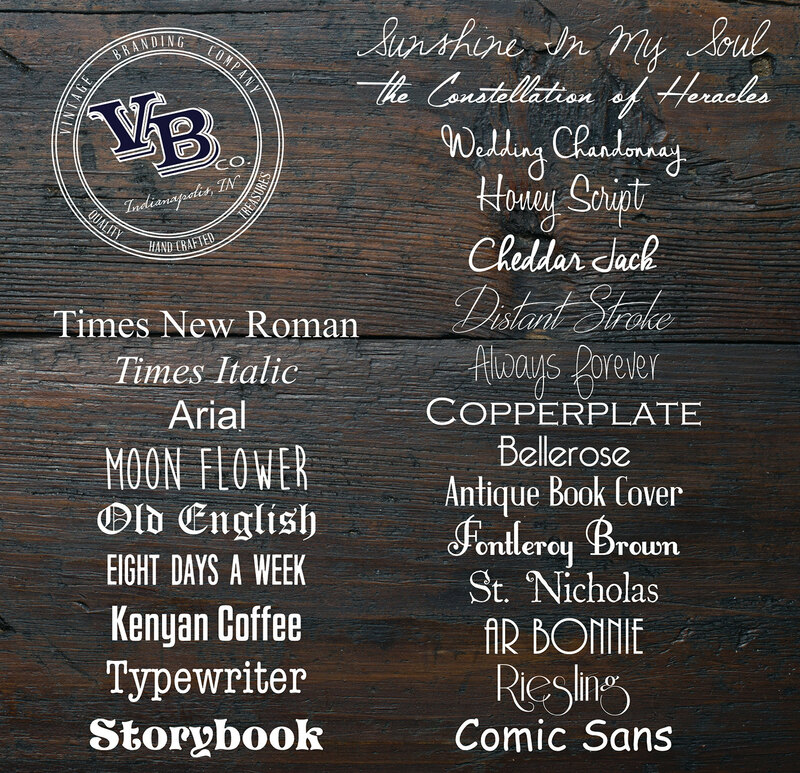 Choose a font from the listing photo above. Add your image: Upload/Scan footprints to order. specify: Choose between Black Anodized Aluminum or Stainless Steel + preferred ball chain (black or stainless steal) If not specified: Black will be chosen for you. Most orders will be created and shipped within 2 days of purchase. (Updated production times can always be found on our announcement page.) We use USPS 2 day priority shipping to ensure that you receive your highly anticipated order in a timely manner. Please note that 2 day priority is only an estimation, and can take up to a week for delivery depending on your location. Need it faster? We have an express shipping upgrade to get it to you next day! As always, feel free to contact us with any questions regarding our shipping policy. Please double check your shipping address, as we cannot be held responsible for orders shipped to the wrong address that was previously given. All orders are neatly packaged and shipped with care. If you are a perfectionist, please feel free to purchase a digital proof. Once purchased, we will program your piece, sending you a proof to approve before engraving. Please note, this can slow down our engraving and shipping process, depending on the time it takes for your approval. This item was beautifully made. I was even more impressed by the customer service. There was an error/miscommunication in the dog tag I ordered. I contacted this company to see if by chance they could fix the necklace as the wording was messed up. To mysurprise a new dog tag was made and shipped to us almost instantly with the corrected wording. It was so fast and easy. I’m so excited to give my husband his gift for Christmas!!! I’d definitely buy from them again. Really nice thank you I can't wait to give it to my hubby! We love my husband's dog tags! It was a gift for Father's Day, I was so excited I couldn't wait until Sunday to give it to him. He loves them!